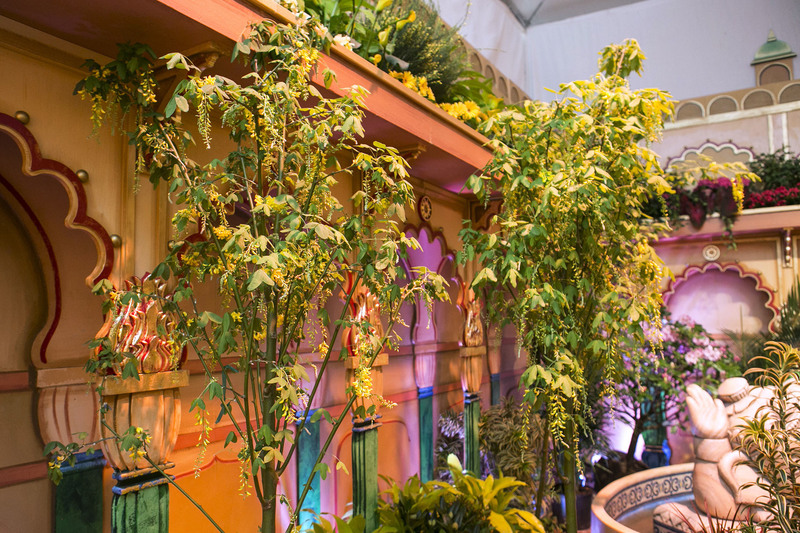 It's not quite the time to head to rooftop bars or the best NYC parks, but you can still revel in forthcoming warm weather at the annual Macy’s Flower Show 2019. 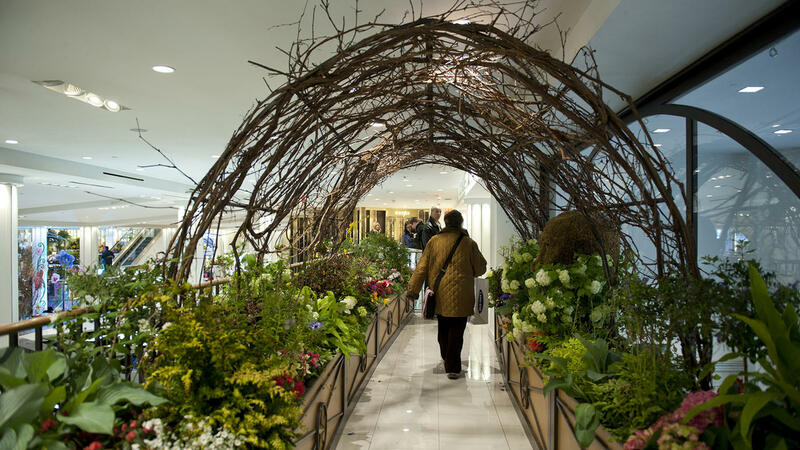 NYC will be budding with blooms all over, but nothing beats roaming the sweet-smelling foliage that suddenly appears at one of the city’s best department stores: Macy’s Herald Square. 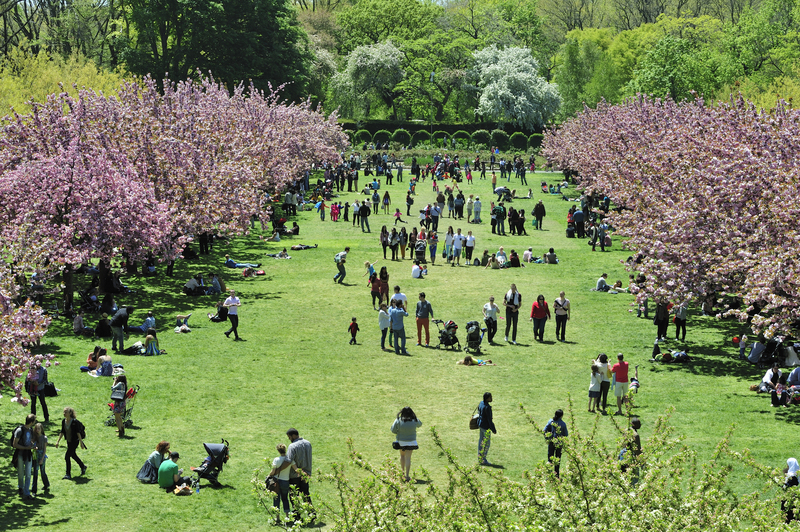 Before you know it, New York will be gearing up for all the spring festivals, and tank top weather will be in full swing—really! 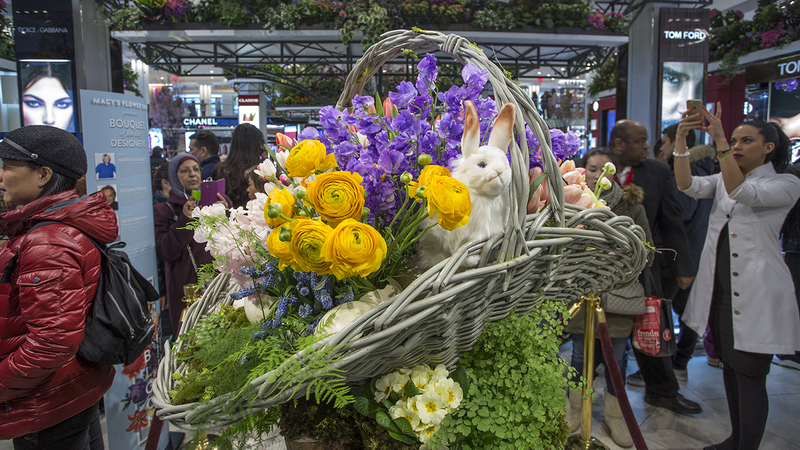 What is the theme for the Macy’s Flower Show? 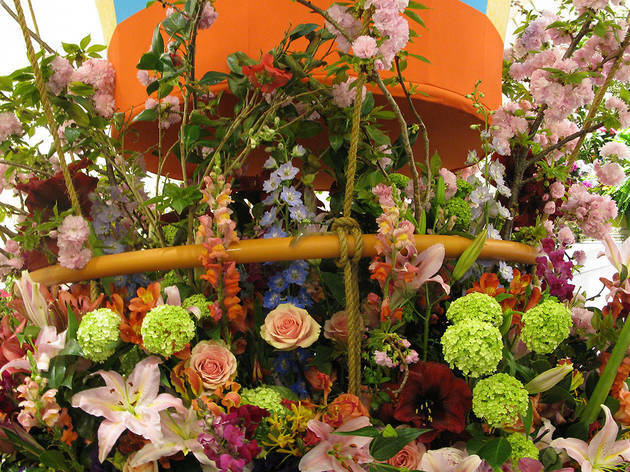 New Yorkers and out-of-towners alike flock to this floral-filled exhibition, where jaw-dropping arrangements decorated to fit a specific theme are on display for two weeks. 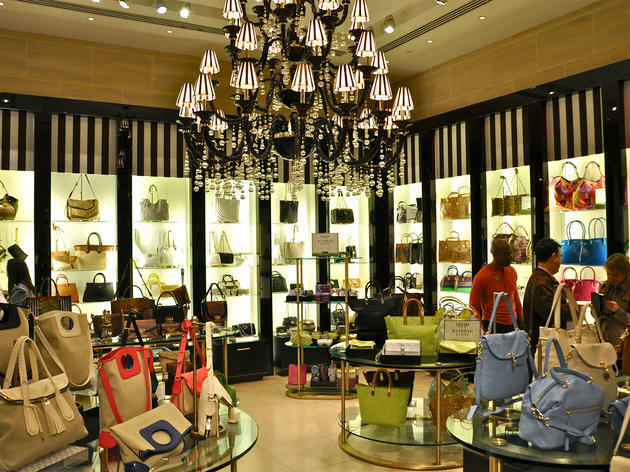 The subject for 2019's installment at the megachain’s Herald Square location is Journey to Paradisios. Translation? 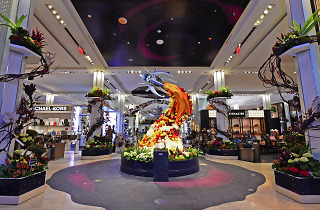 It's a cosmic dream offering revelers an out-of-this-world representation of outer space. 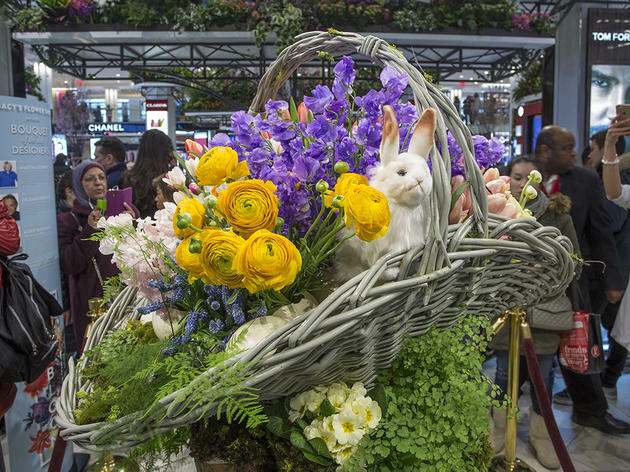 Flower arrangements are designed to show off the "mystery of the cosmos," so check out the nods to the stars, planets, rockets, aliens (of course) and more astrological wonders. 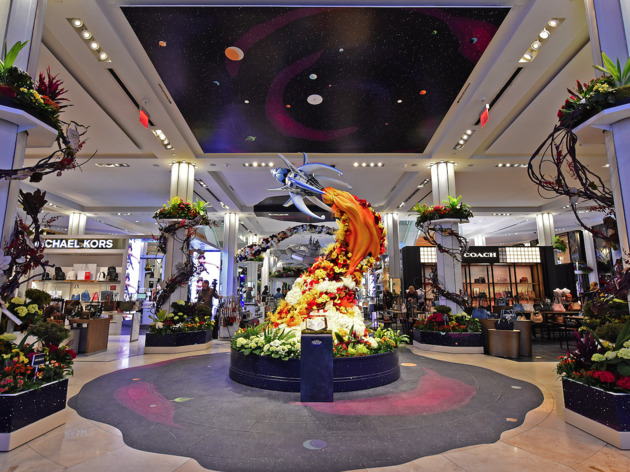 When is the Macy’s Flower Show? 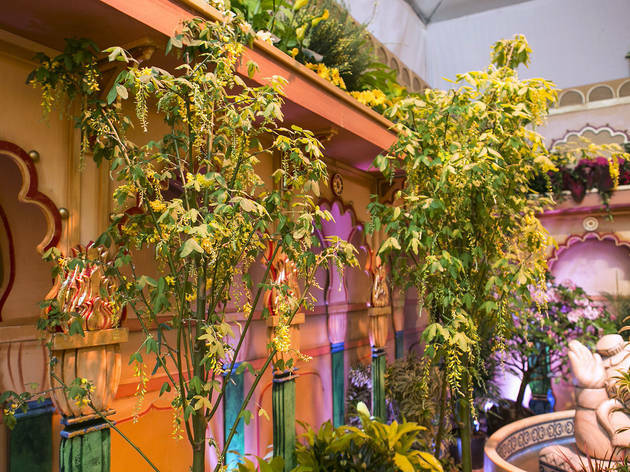 The Flower Show dates are Sunday, March 24 through Sunday, April 7, 2019. 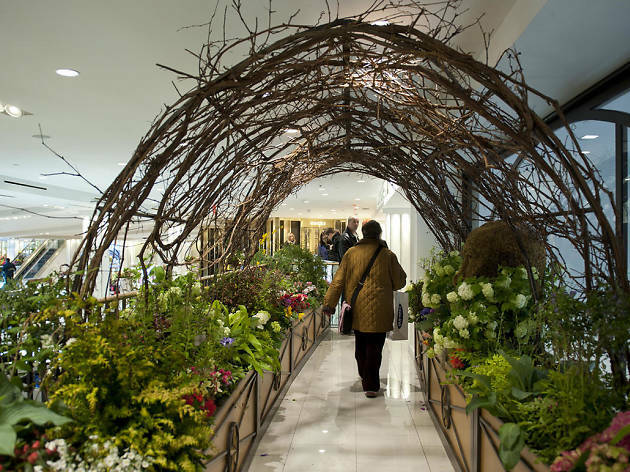 Where is the Macy’s Flower Show? 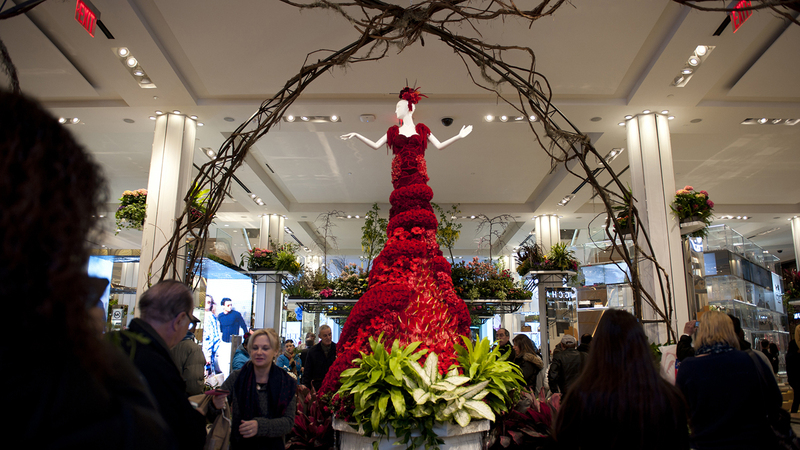 The Flower Show is at Macy’s Herald Square at 151 W 34st Street, between Sixth and Seventh Avenues. 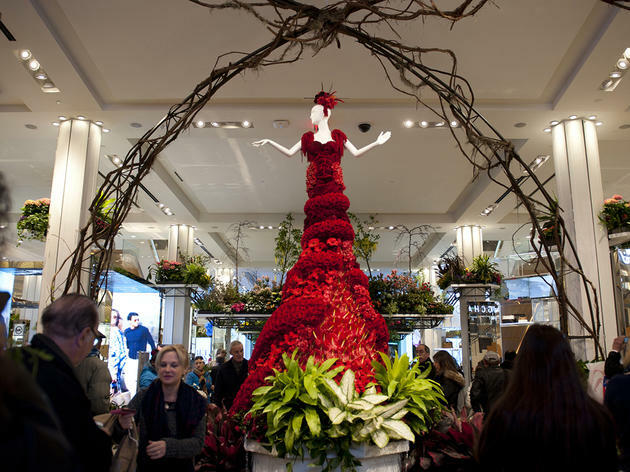 How much is the Macy’s Flower Show? 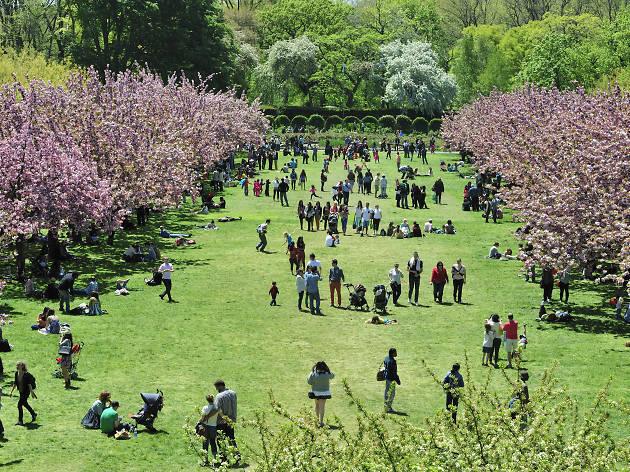 The Flower Show is free! 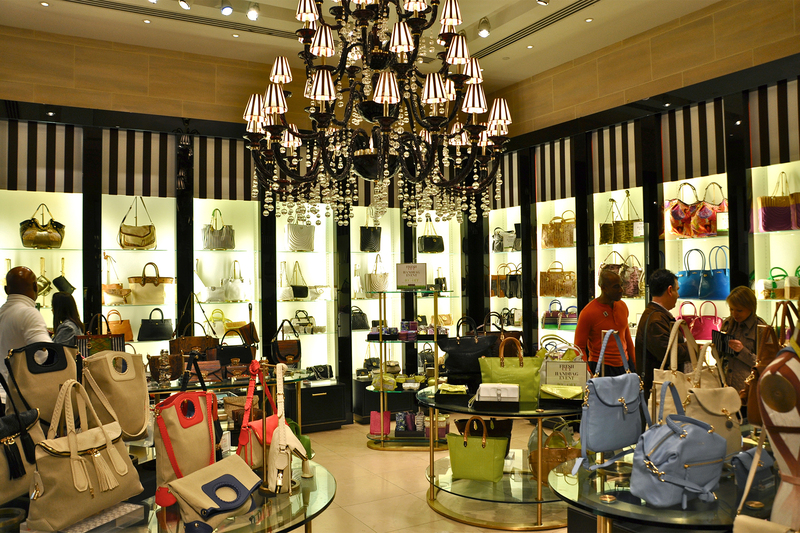 You may admire the blooms while you shop during normal Macy's businsess hours. 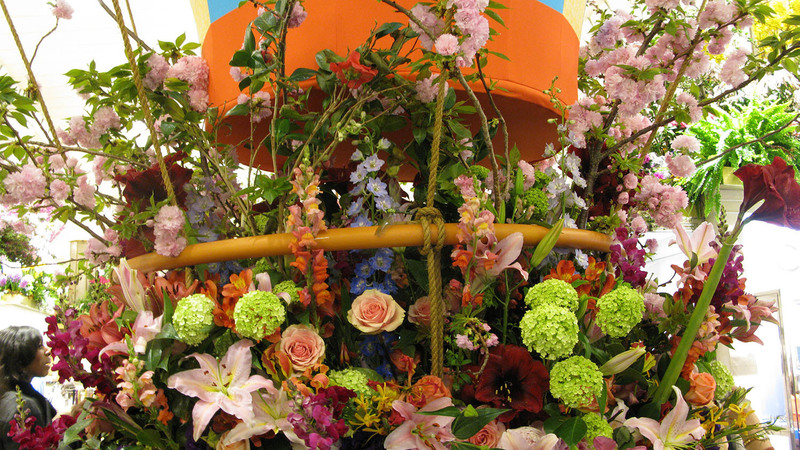 For more information, visit macys.com/flowershow.